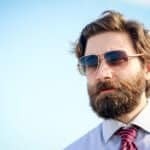 What Are The Different Types of Beard Growth Products? Biotin: Myth or Proven Way To Grow Your Beard? Application of A Beard Growth Product – Dropper, Spray, Or Capsule? How To Properly Maintain Your Beard After Its Grown In? Here at Tools of Men, we have covered in exhaustive detail all things when it comes to beards. From the best beard oils to balms, even the type of comb that will best suit your beard! In this post, we have covered, with great detail some of the best beard growth products in the market place today. Whether you are growing a beard for a first time or are trying to cure a patchy beard, you will find the right beard growth product for you. We found that the best all natural spray you can get will be this beard growth spray. On the other hand, if you are looking for the only FDA approved option on the market, then minoxidil is the primary choice among men. When it comes to checking out other beard growth formulas, one of the highly recommended ones out there is going to be Maxx Beard. It contains a great mixture of ingredients for guys looking to grow out their beard. The KopyrrolTM and the Biotin will be the key ingredients that will bring on brand new hair growth for your beard. Niacin, much like Biotin is Vitamin B3 that helps foster increase blood flow which ultimately does help in hair growth for some people. On the other hand AzetinolTM is a natural DHT blocker. This is great for beard growth but oddly enough may cause some hair loss on your head. Therefore this is why its contained in a dropper bottle. But active hair growth ingredients aside – what we really dig about the Maxx Beard product is that it contains both Argan and Emu oil. 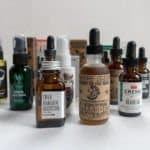 Having this within a beard growth formula during your beard growing adventures will make your beard feel much softer, and generally will be a whole lot healthier. Application is going to be the same as those trying out minoxidil – using a dropper in select patches. The last option for beard growth products will be using a beard growth spray. There are a few things to note when it comes to sprays such as Beard Growth Spray. The main advantage of beard sprays is that they can be applied to just a specific area of your face – or your entire face with an equal distribution. Therefore if you are trying to grow several parts of your beard out, then its likely going to be better for you to use a beard spray rather than using a dropper of minoxidil. 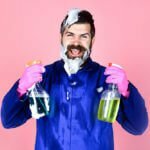 Of course you could transfer the minoxidil solution to a spray bottle to achieve the same effect as the beard spray – so it is largely a personal preference. Another note is that with beard spray and minoxidil, you just select the areas that you want to apply it – unlike a vitamin containing Biotin that effects your entire body. As seen on the Beard Growth Spray website the above ingredients are all natural and have seen some effects in growing your hair naturally – just like Biotin. Minoxidil, the active ingredient in popular products like Rogaine, have been around for years. Minoxidil has been proven to work for some men to either completely stop hair loss in its tracks, and in some instances to actual spur on additional new hair grow for the area that it is applied. In fact, Rogaine is clinically proven to help regrow hair and has been approved by the FDA. Application is a key difference when compared to a beard supplement. You see when you have a supplement that contains Biotin like VitaBeard above, not only will you might experience an uptick in beard growth on your face, but also the hair on your head and finger nails will consequently grow as well. Therefore, if you have a patchy beard, minoxidil may be the better choice for you. Being that minoxidil comes in a liquid or foam form, you can easily add the solution in isolated areas, therefore making sure that you spur on growth of your beard where you exactly need it. It’s not just him that have also seen incredible results using minoxidil on their beard. When it comes to actually picking up the solution itself, you do have a couple of options. You can either get the branded Rogaine version for about $37 (3 month supply) vs a semi-generic label Kirkland for a few bucks cheaper. Largely there isn’t going to be a performance difference since both products do contain minoxidil as the active ingredient – and at the same amount 5%. So it really comes down to a personal preference of the man himself. Personally I would opt for Rogaine as its an established company that has plenty of documentation online – and after all they were the creators of this stuff to get it approved! 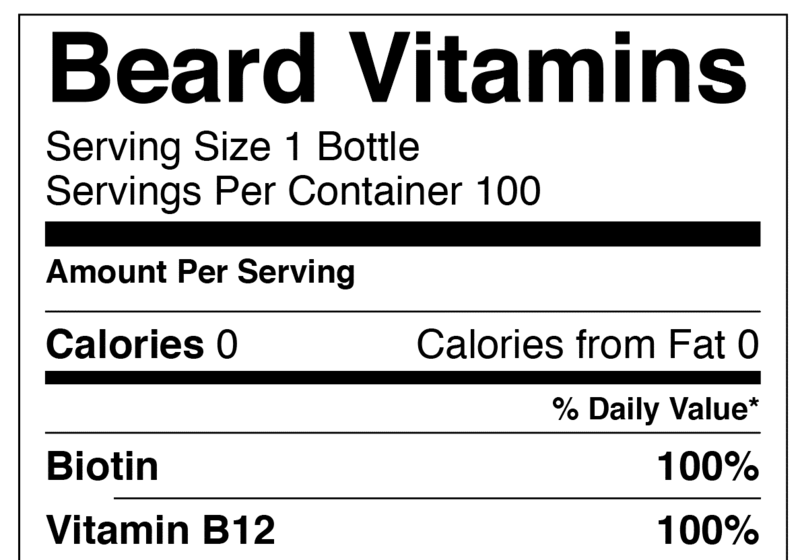 VitaBeard is produced by the company Do Vitamins out of Las Vegas, NV and contains a well rounded amount of vitamins on its label. As you can see above, VitaBeard is absolutely loaded with Biotin, therefore ensuring that your have an adequate amount of the vitamin in your daily use. Also to note, VitaBeard is certified gluten-free, not a GMO, and also certified vegan. Regarding the price of VitaBeard, it is a bit on the higher side at $30 a bottle (at the time of this writing). Now the key active vitamin in this bottle of course is the Biotin. If you were looking to get this at a budget price, you could mix a biotin vitamin with a regular multivitamin to achieve the same results. Really its dependent on the guy and how many capsules you will want to have within a given day. If you can afford it, its probably best to just get VitaBeard and have one capsule, this makes it easier for traveling, and just general consumption. 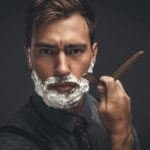 At Tools of Men we take proper beard care and maintenance incredibly seriously, in fact we have published countless articles and spent hundreds of hours breaking down each and every facet to grow the perfect beard. 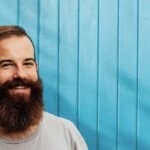 Therefore when writing this article, we wanted to take in to account all the different beard growth products that exist and narrow in on which ones will be the best match for you in order to set you up for long term beard growth success. 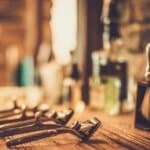 To help craft this review of the best beard growth products on the market, we read hours of medical journals about the ingredients listed in many of the products below, poured over information in popular beard related forums like /r/beards and Jefffs Beard Board along with reading experiences that men have encountered when using the products below. Simply put, we did legwork for you in order to both save you the time and hassle of the research so you can get on your way to growing a beard fully and quickly. Generally for the bearded men, there are a few beard products out there in the market. 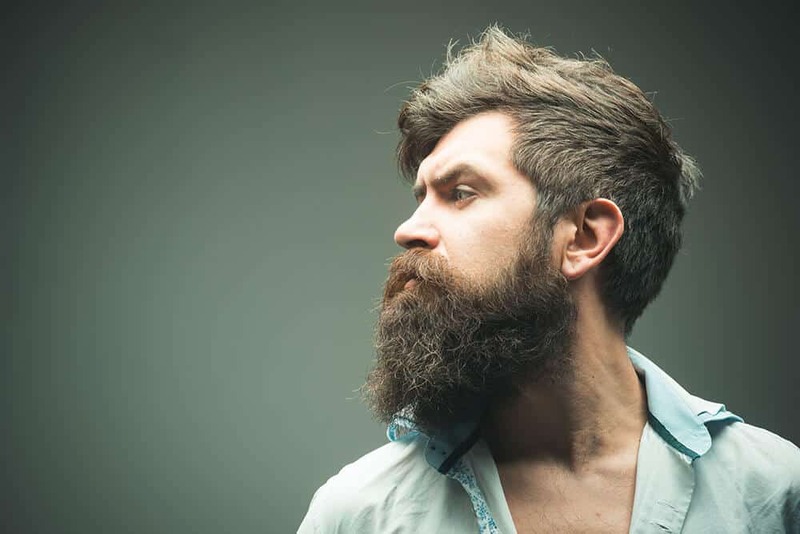 From a beard growth spray, to vitamins such as Vitabeard and Beardilizer, to using a product like Minoxidil, the options for the most part are limited. So how do you find out which one will work out best for you? Really its all dependent on your situation. No beard product is guaranteed to work 100% of the time. Unfortunately this is the cold hard truth, and the general consensus of what you will read from the so-called ‘experts’ out there. When looking at studies funded from the government and several non-profit groups, there are no 100% definitive ways that will guarantee that the best beard growth products work. After all, if hair growth products were 100% guaranteed to work, you would never see a bald man walking the streets ever again (myself included). Therefore when considering the products outlined below its paramount to go in with this mindset and try products that are likely going to be more effective depending on your scenario. 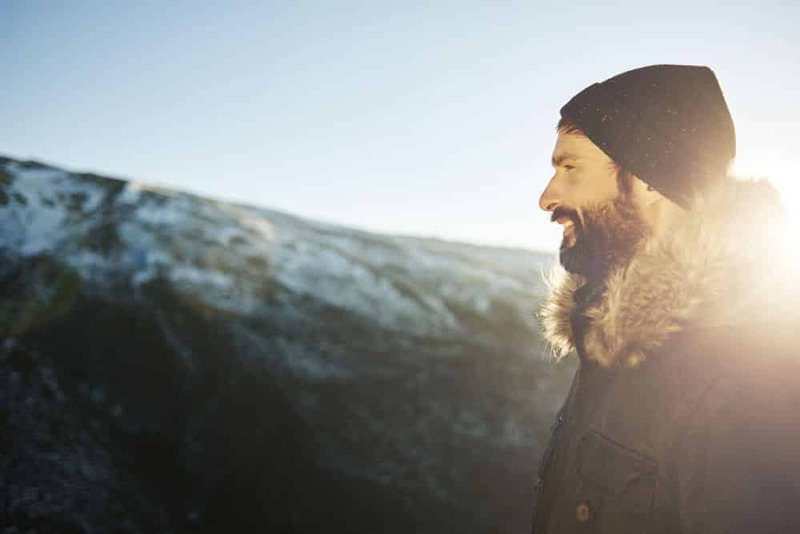 Many of the most popular beard vitamins on the market will heavily push that they rely on a proprietary mixture of vitamins and minerals that are all but guaranteed to help spur on the growth of your beard. Or if they don’t explicitly say biotin, just simply looking at the ingredient list on the side of the label will more often than not rely on a very heavy mixture of Biotin. As an example, when looking at popular products like Vitabeard or Beard Grow XL – both contain well over 100% of your daily value for Biotin – 1,000% and 667% respectively. So why the reliance on Biotin? When checking the National Institutes of Health (NIH) database, there are several research publications that have looked at the link between hair loss and biotin. More specifically, studies like this one, found that women in particular who were losing or experiencing thinning of hair took biotin and began to see a regrowth in their follicles. While you can find several great research articles within the NIH database, many of them tend to favor that if you experience a biotin deficiency in your daily diet (more on this below), then a nutritional supplement containing biotin may have a significant impact on hair growth. When it comes to beard growth products, there are distinctly three different ways that you can use them – dropper, spray, or capsules. With each application method comes down to some very distinct advantages and disadvantages to each of them. First we will talk just a moment about the dropper. Droppers are high effective, especially if you are using a product like minoxidil given that you can apply the solution directly to the area where you want to fill in your beard. If your beard is looking relatively patchy in only a few distinct areas, a dropper will allow you to concentrate on that area with every use. It’s this direct application of the product allows it to be highly effective at getting the job done quickly. While a product like minoxidil may take a bit before you begin to see results, with a dropper application, you will know whether or not it is working just by simply inspecting the area of your beard. A downside to droppers is that they may tend to be slightly more messy given that you will need to rub the solution into the area after application. Some men may try to rub the area with the dropper itself, however it largely boils down to personal preference. Contrary to the dropper method is the beard growth products that come in spray form. Sprays are convenient when you have beard growth that is somewhere between being incredibly sparse and one that needs just a bit of patch work. Beard sprays, like one we review below, are going to be the most versatile product in getting the job done – and likely one of the easiest to apply on a daily basis. Lastly, pills (or capsules) are incredibly easy to consume for most men and can be incorporated with your meal. With their hygienic application, there will of course be some downsides to this process – most notably, whether or not its actually working. Unlike a dropper method where you can easily see if a patchy area is growing in, pills may be a bit tougher to chart the progress. However, unlike a dropper method, beard growth capsules are great for men who are wanting to fill in their entire facial hair area. These types of products tend to be favored by men who just generally see a much lighter beard growth overall and are looking for additional thickness. Adding in either a supplement, minoxidil, or a beard growth spray can only do so much in helping you grow an epic beard. The other key piece to the equation is going to be within your diet itself. Specifically, you want to make sure that you get an ample amount of protein and iron as it generally helps the overall appearance of your hair. Even in a USA Today article, they cited a Cleveland Clinic research that being deficient in iron will cause baldness. 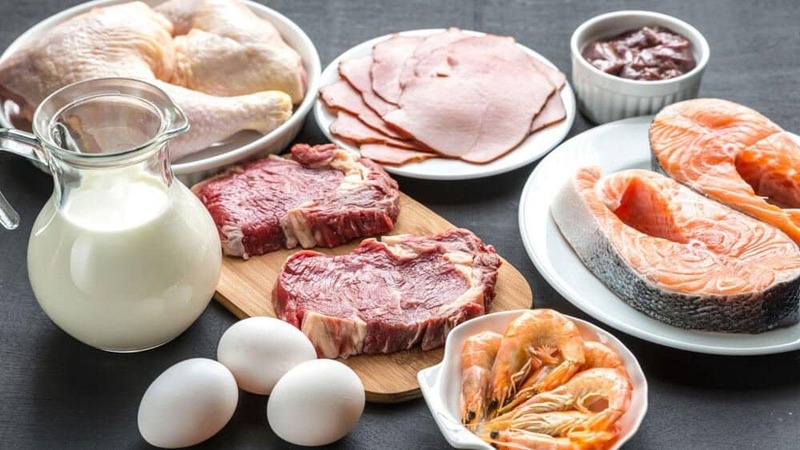 While eating these foods won’t be a supplement to some of the best beard growth products, they sure do help as far as getting the appropriate nutrition. Once your beard has sufficiently started to grow in, its key that you actually maintain it properly. This is critical in making sure that it remains healthy and well nourished for the long haul. By and far of all the beard maintenance products, a beard oil or balm will be by and far the best way to keep your beard well moisturized. 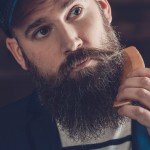 Why is using a beard product important? You see, at the base of every beard follicle you have these microscopic glands called sebaceous glands. The sebaceous glands produce this oil called sebum oil. When your beard gradually gets longer, unfortunately sebum oil doesn’t increase in production. Therefore, your skin that your beard follicles rest on begins to dry out, becomes irritated, and ultimately begins to flake. Beard flaking is a classic case of ‘beardruff’ (i.e. dandruff for your beard). Once you move into the blue area of the above chart – beard oil (or balm) is an absolute must in making sure that you don’t have any sort of unsightly beardruff sneak up on you. Also to note, there is no absolute length on a guys beard when they need to start using a beard product. 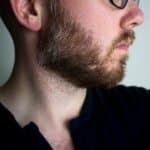 You see everyone’s sebaceous glands are unique to them, so some men might need to add a product into their routine when their beard is .5″ long and some others when their beard is 2″ long – so your beard is unique to you. Quite honestly though, there is never no wrong time to introduce a beard product. The reason for this is that your beard follicle will be well moisturized during its entire growth process, therefore leading to a low chance of split ends and generally a scruffy and brittle beard. 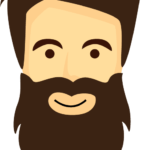 Let’s take a look now at the key beard products – beard balm and beard oil. So whats the real difference between a beard oil or balm? The key ingredient between both of them, and the one you should really care about is the carrier oil. Carrier oil provides all the moisture an nourishment to your beard follicle. This is the key ingredient that prevents beardruff, dry skin, and general skin irritation. The other ingredients listed don’t provide the nourishment to the extent of a carrier oil. Beeswax is really just a styling/holding agent that helps to keep your beard in place throughout the day. Butter adds an additional layer of moisture to your beard, and also helps as a spreadability agent for the beard balm itself. Lastly, essential oils provide the awesome scents of both the products. So if you are looking to smell like a lumberjack or something a bit more refreshing (think citrus), essential oils provide just this – the scents. If its your first time growing out a beard, I would recommend checking out our guide to the best beard oils (or beard balms) to get you started. To note: I am not a doctor, therefore you should always consult with your personal doctor before consuming or applying anything to your body. The information on this website has not been evaluated by the FDA and is not intended to diagnose, treat, prevent, or cure any disease.